How big of a role does your child’s daycare play in stimulating their exploration and discovery of the world? Is your child in an environment that takes advantage of the fact that their brains are active and curious? 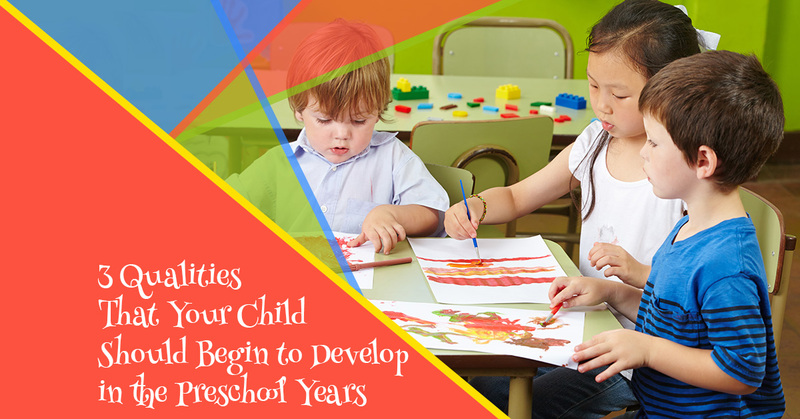 This critical season of life is a time of great potential for your preschooler, and the environment where they spend their days can either help them thrive and excel, or deny them that boost and cause them to stagnate. Here are three of the qualities that our daycare program in Upper Darby believes that every preschooler should have the chance to develop. Some children have a natural swagger and an unshakeable confidence in approaching the world, and others have more of a tendency to timidity. When your child becomes an adult, the ability to exude confidence will be a beneficial factor in everything from getting a job to negotiating with people to extending hope to those around them. If children begin to develop solid confidence in their preschool years, it will already be second nature to them to be confident by the time they become adults. Confidence is not built by being told, “You can do this.” Rather, it’s built by letting a child make an attempt at something a little harder than they’ve done before, and then letting them enjoy a successful outcome. When this happens over and over again in the early years, your child will have a great start on the path to confidence. We live in a world with growing problems, which means that we need a generation to rise up who possesses the creativity necessary to confront and solve those problems. Creativity is not just a spark of genius or something that you either have it or you don’t. Creativity can be fostered and cultivated, especially in the early years, by giving children the raw materials with which they can be creative, and then praising them for things they create. Every child should experience the the joy of creativity, and we do our best to promote that in our day care program. It is an advanced skill to think carefully about a puzzling problem and then see the way to solve it. Young children are developing critical thinking skills all the time in ways that we don’t notice, from discovering how to turn doorknobs to realizing how to use a stool to reach things that are higher up. However, this critical thinking ability can tend to atrophy unless children are given continual stimulation with new problems to figure out that are just at their level. If the problems are too hard, they can make a child feel dumb and want to quit, while if they’re too easy, they don’t stimulate the kind of critical thinking and problem solving that the child needs. The great news is that here at Darlene’s Wee Care 4 Kids, we use a curriculum called the Creative Curriculum that is built to enable children to develop precisely these skills. We believe you’ll agree and see the difference when you enroll your child. Get started today!